The qu is NOT where but WHY? & 4 WHAT? Cheap tourists who don't stay, eat much or spend, and add to the burdens on already stretched infrastructure on The Spit. Using independent Midwood calculations of $75 pp passenger spend, it would take (conservatively) 70 ships pa to pay for the maintenance dredging to the outer seaway ALONE... not to mention other terminal-related costs - as Midwood concludes, the dollars do NOT stack up. It is THEN all made incalculably worse when considered against the costs to the community & the Broadwater - one of our 3 great natural tourists assets. 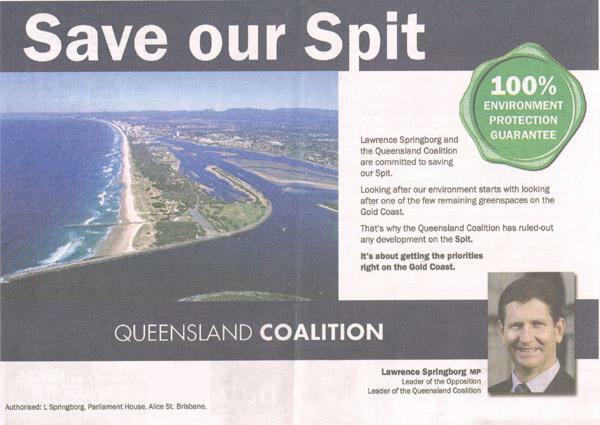 "....Recent Colliers International research found the Gold Coast had 127 development projects in the pipeline worth $13.577 billion..."
The community is overwhelmingly against handing the Spit or Broadwater over to developers 38,000 signed a petition against this. These ideas (often touted in GCB) lack merit and are more about shoring up 'VANITY PROJECTS' (GCB words not ours). There is little support for a Cruise Terminal on the Gold Coast and growing support for SOSA - just go to the Spit and see - talk to people who love the Spit. There is real community support for keeping what we have. Its ours and that community spirit has only grown. Just ask an Olympic athlete who tasted glory in Bejing they seem more determined than ever to do it again. SOSA will continue until it is permanently protected for you and future generations. Politics deliberately aimed at dividing a community will fail - our clean beaches and beautiful Broadwater deserve more than to be a constant target for developers and political spin. Where else can an elderly dog walker and young surfer keen to get some waves at TOS share a common view of community spirit. Its great to share this. 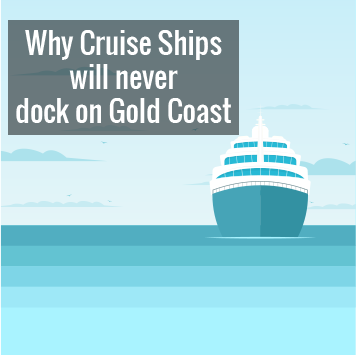 Judge for yourself who has the sustainable argument check the recent ABC 730 QLD gold coast cruise terminal episode. Image - LNP advert - 2006 State election campaign.